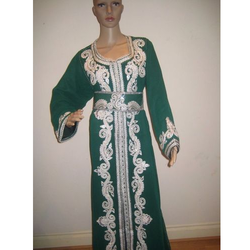 We are offering Ladies Moroccan Caftan . Silver work with using nakshi, cyrstal, dabka. All are hand embroidery. 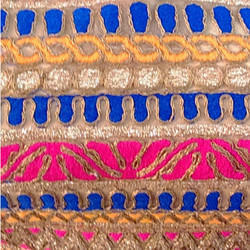 Ladies Gold Work Kaftan with using multi-color crystal, fancy gold metal wire and white crystal. 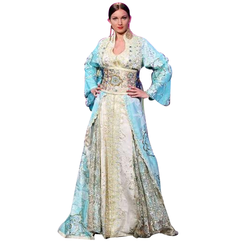 We are offering Moroccan Caftan. 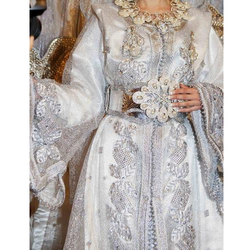 we are best designer of Embroidery of Moroccan Caftans. 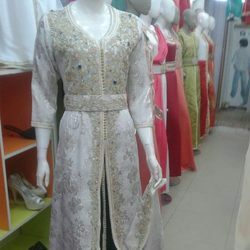 We are offering Ladies Moroccan Kaftan . 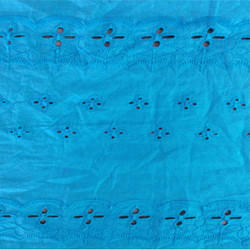 We are offering Ladies Green Maroccan Kaftan. Banking on the honorable management of talented professionals, we are offering an exceptional assortment of Machine Embroidery Thread Work to our customers. These are rendered according to the client’s demands. Offered thread work services are admired due to their reasonable price, accurate result, and client-focused approach. To uphold the standing in this enormously competitive industry, we are readily involved in bringing forth Machine Embroidery Shifly Work. By applying advanced technology, we work very hard to produce the output as per the client’s requirements within the requested period of time. In addition to this, we are offering these services at very reasonable rates. 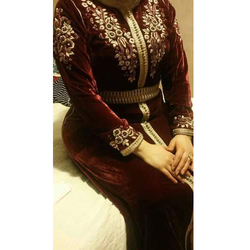 Looking for Moroccon Kaftan ?